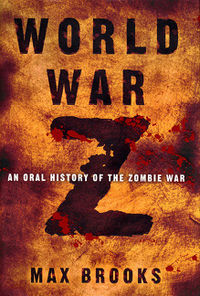 According to World War Z (Max Brooks' meticulously researched, definitive guide), it all starts with an out-of-control virus. Once a human has been infected by this particular virus, he or she experiences brain death, followed by reanimation and an unquenchable need to consume living flesh. Zombies are unintelligent, incapable of planning, motivated solely by the need to gratify their one desire. They never tire, and the only way to stop them is to completely destroy their brain. What if we think about sin as a virus that infects the citizens of earth, causing them to steal, kill and destroy every good thing? We could easily crown the Father of Lies, King of the Zombies. This king has mesmerized the human population into following after pleasure and gratification, with no discernment. We could easily think of the zombies as us vs. them. All the people we like, as opposed to all the crazies. Yet the more I think about it, the more I see a world all around me full of zombies. We all suffer under the curse of the zombie, struggling against our inborn sin nature. The Bible says, “We all, like sheep, have gone astray, each of us has turned to his own way...” (Isaiah 53:6). Sheep just follow whatever leads them, wherever it goes. The good news is that when Jesus came, he called himself the Shepherd, the one to seek and save those lost sheep: he came to pull us out of Zombieland and restore us with a new life. It turns out there is a cure for zombie-ism after all. “I have come so they might have life, and have it to the full” (John 10:10). The zombie apocalypse starts to sound more plausible, doesn't it? Fortunately, I know a secret. There is a cure, it is free, and there is enough of it to go around. My attempt to “flesh out” a zombie theology represents my chronic search for God’s truth hidden in every corner and side road of life. I know it’s rough treatment; I have seen this topic handled with greater finesse on another blog I read recently. I cannot for the life of me find that post again today, however. If you have additional thoughts to share on this subject, I’d love to read them. Just post your link in the comments, otherwise I might end up hosting the first-ever zombie theology blog hop! 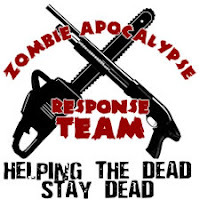 Zombie Response Team: Helping the dead stay dead. Jesus Christ: enabling the living to really live (Jn 10:10). Keep up this good stuff! Great to see you exploring this topic. I have from time to time as well, and related topics as well, on my blog TheoFantastique (www.theofantastique.com). I also wrote a piece for Religion Dispatches titled "Toward a Zombie Theology"(http://www.religiondispatches.org/dispatches/guest_bloggers/3871/toward_a_zombie_theology/) that was referenced on CNN's Belief Blog (http://religion.blogs.cnn.com/2010/12/20/the-zombie-theology-behind-the-walking-dead/). Let's keep the reflection and conversation going.